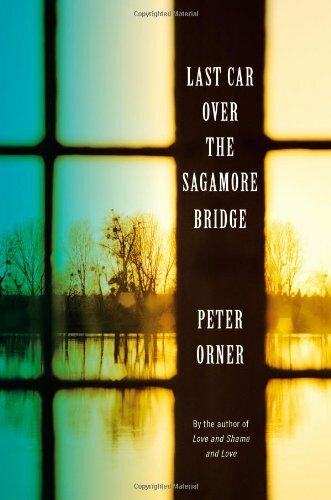 Reflections by a boyhood friend on Peter Orner's fiction. I prepared for Calvin College's 2014 Festival of Faith and Writing by reconnecting with an old high school friend, the fiction writer Peter Orner, whom I interviewed at the Festival. If Orner is not well known to Books & Culture readers, two of his mentors surely are: Andre Dubus, whose writing workshops Orner attended before Dubus' death and to whom Orner co-dedicated his award-winning 2001 short story collection, Esther Stories; and Marilynne Robinson, with whom Orner studied during his MFA at Iowa University and who wrote the forward for Esther Stories' 2013 reissue. For his own part, Orner, also the author of the acclaimed novels The Second Coming of Mavala Shikongo (2006) and Love and Shame and Love (2011) and short story collection Last Car over the Sagamore Bridge (2013), has in the past decade and a half established himself as what Granta editor Ted Hodgkinson calls "one of the most distinctive American voices of his generation." Reading Orner's humorous and poignant canon while preparing for our interview proved a meaningful task. And because so much of his fiction takes place in memory, as an autobiographically influenced panoply of narratives often set in our native Chicagoland, Orner's work immediately set my own memory turning. 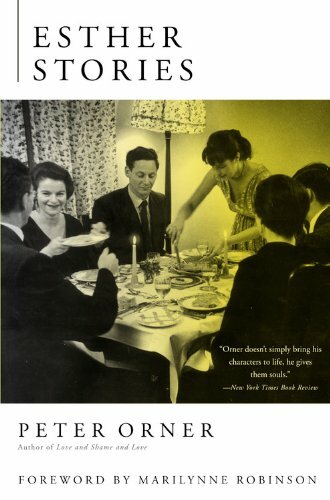 In particular, I recalled how Peter, the stepson of our state representative and someone I then perceived as a member of Highland Park's Jewish gentry, and I, a lower-middle-class Catholic whose family lived in our affluent suburb only because of the then-affordable homes along the train tracks, formed an amusing, awkward friendship. I cannot claim to be one of Peter's closest boyhood friends—indeed, as I admitted with regret to him in 2014, I let my socioeconomic insecurities obstruct our friendship—but we enjoyed an impish relationship characterized by ideological conflict, philosophical discussion, and political, romantic, and athletic rivalry, often expressed through snide comments that masked an underlying affection. During our sophomore year, Peter, fresh from reading Bernard Malamud's The Fixer, approached me and said, "Hey, Urban—did you know Jesus was Jewish?," a remark he punctuated with a triumphant and self-amused smile. Had he spoken those words after my evangelical conversion, I'd have one-upped him for sure: "Praise God, you're right—let me tell you about your Messiah!" But at the time he left me all but speechless, feebly muttering "No kidding" in response to his tacit reminder of my religion's derivative nature. So often I've laughed at that recollection. But Peter could also be deadly earnest. As a freshman, I was, to my shame, habitually ridiculing a boy susceptible to mockery. Eventually Peter confronted me: "Urban—at least give him credit for being a human being." I tried laughing Peter off, but he persisted: "Give him credit for being a human being." Years later, faced with the glorious truth that all human beings are created in the image of God, I understood more fully the profound significance of Peter's admonishment. 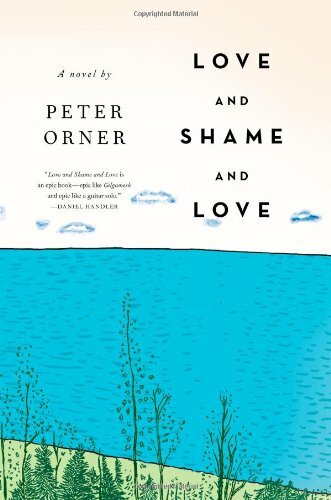 And as I've shared that story to countless students and my own sons as we discuss demeaned individuals in literature and life, I remain aware that my first and perhaps most enduring lesson in recognizing the innate value of each human life came when 14-year-old Peter Orner challenged me to understand that the person I was degrading was indeed a human being. Unsurprisingly, Orner's fiction invariably expresses the humanity of his characters, implicitly communicating that each character merits his audience's empathy. Indeed, as Margot Livesey wrote in the New York Times Book Review, "Orner doesn't simply bring his characters to life, he gives them souls." Or as Gerald Sorin astutely observed in Tel Aviv's Haaretz, Orner displays a "Jewish sensibility" demonstrated by "his expression of rachmones [Yiddish for "compassion"] on every page."